Hartmut Esser was born in 1943 in Elend/Sachsen-Anhalt, Germany. He studied Economics and Sociology at the University of Cologne. Following his postdoctoral habilitation at the University of Bochum, he held positions as Professor of Methodology of Empirical Social Research at the University of Duisburg (1978-1982), Full Professor of Empirical Social Research at the University of Essen GHS (1982-1985) and Full Professor of Sociology at the University of Cologne (1987-1991). From 1985-1987, he was Managing Director of ZUMA (Centre for Survey Research and Methodology), Mannheim. 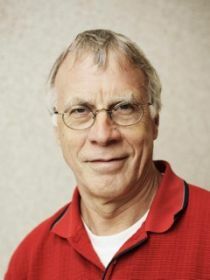 From 1991 – 2009 he was a Full Professor of Sociology and Philosophy of Science at the University of Mannheim and served two terms as Vice-President for Research. He retired in August 2009. He is the (co-)author of over 190 papers in refereed journals and collected volumes, and (co-) author or editor of over 20 books, the most important of which are: Soziale Regelmäßigkeiten des Befragtenverhaltens 1975; Wissenschaftstheorie (2 vol.) 1977; Aspekte der Wanderungssoziologie 1980; Generation und Identität (ed. together with Jürgen Friedrichs) 1990; Alltagshandeln und Verstehen. Zum Verhältnis von erklärender und verstehender Soziologie am Beispiel von Alfred Schütz und Rational Choice 1991; Modellierung sozialer Prozesse (ed. together with Klaus Troitzsch) 1991; Soziologie. Allgemeine Grundlagen 1993; Soziologie. Spezielle Grundlagen (6 vol. ), 1999-2001; Soziologische Anstöße, 2004, Sprache und Integration, 2006. His current research interests include theory construction in the social sciences, family sociology, migration, interethnic relationships, ethnic conflicts, sociological theories of action. Hartmut Esser joined CReAM as an external fellow in June 2013.